A recent trip to the Home Depot yielded a copy of the Martha Stewart Living cabinetry, hardware and countertop catalog, featuring kitchen and utility-space design solutions for just about all of the work rooms in the home. 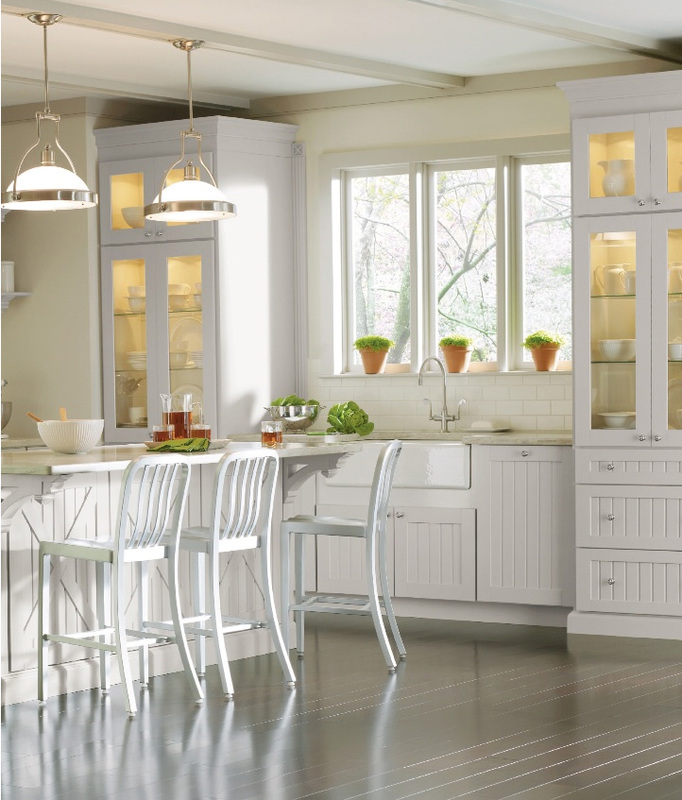 I immediately fell in love with one particular collection: Seal Harbor. I love its New England charm, with cabinet details reminiscent of a bright and functional coach house near the shore. 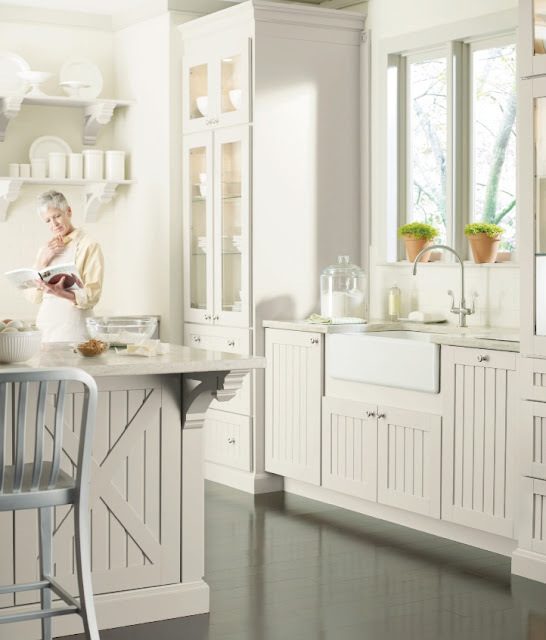 In the photos shown below, the fixtures were Martha's picks for this collection: the counters are Shoreline Corian, the paint is Gull and the hardware is polished nickel. They all come together to create a clean, neutral, bright and airy feeling to the space. View the entire catalog online here. 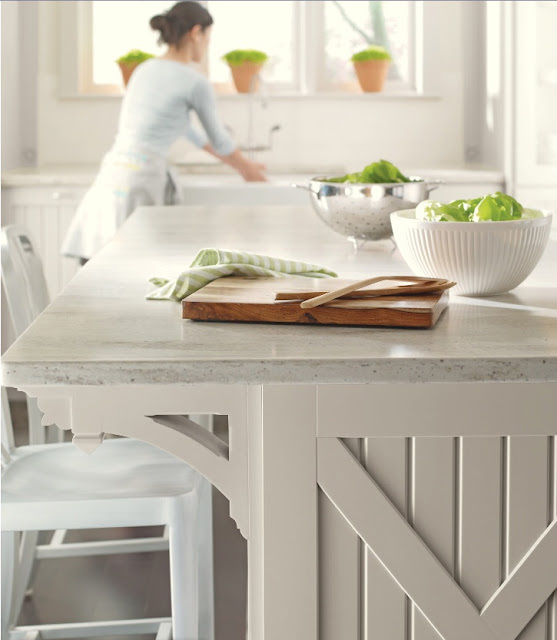 Stable rosette details under the countertops add a beautiful charm and sophistication to the space. 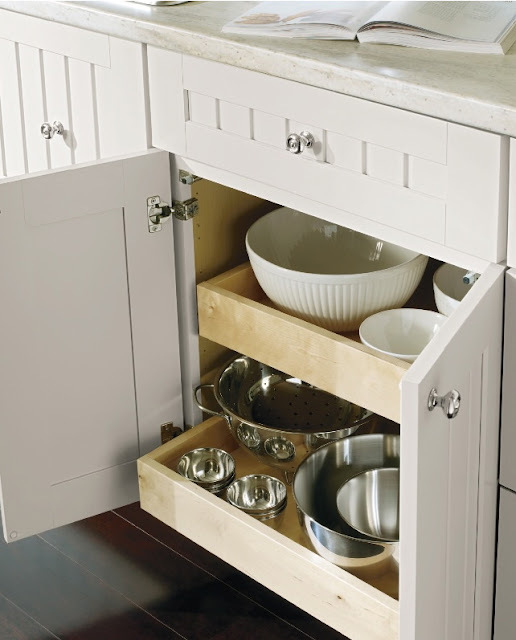 With sliding shelf bases in some of the cupboards, every bowl, pan and pot is easy to access. 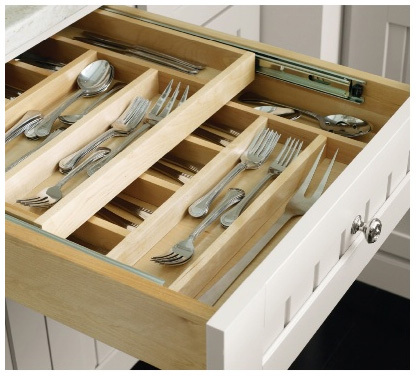 One nice feature is this tiered cutlery divider in the drawers, which slides back and forth easily for extra storage. This is a craft room outfitted with the Seal Harbor cabinetry: love it! Its beautiful! 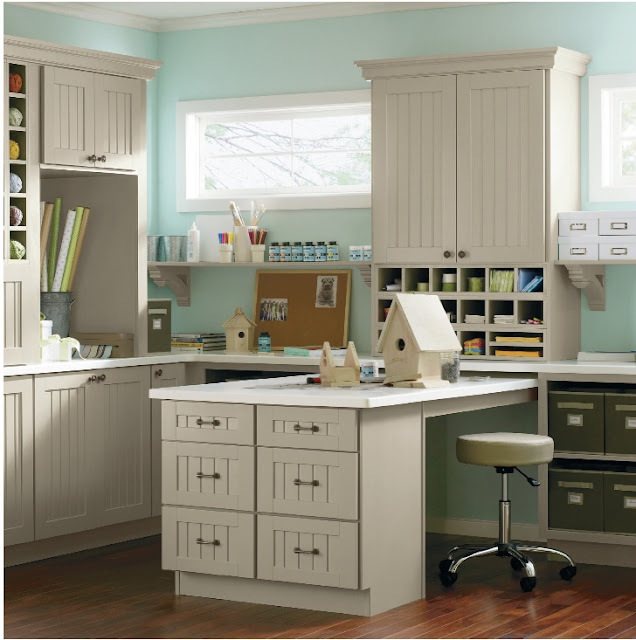 Very clean and organized looking. Definitely a dream kitchen... A Martha Stewart KB home would be even better though! I just read that they are building a new community in Orlando, FL. David, Glad to hear they're still going forward with the housing! Thanks for the tip!